Relocating to a new house is stressful enough without having to worry about the logistics of an entire move. So when it comes to the heavy-lifting (literally), leave it to the professionals — professional movers, that is. Experienced Revere, MA moving companies consist of expert movers and packers who can efficiently pack, move and assemble your Revere belongings to ensure that you get off to a good start in your new home! 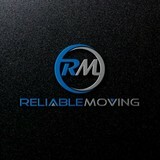 Reliable Moving, Inc. is a residential and commercial moving service, for short and long distances. They provide pre-moving packing services. 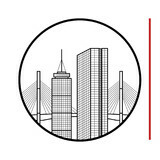 The business was established and incorporated in Massachusetts in 1991. Mr. Eli Givoni is the General Manager of the business, and any questions or problems should be directed to his attention. The business states it is fully-licensed and insured. 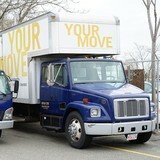 Your Move Inc is a local family-owned Moving & Storage company that has been sering the Boston-area residents for 20+ years. Our team of professional movers will make your next move your easiest yet. 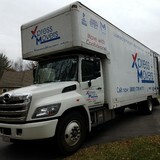 Xpress Movers is small business and was established in 2006. 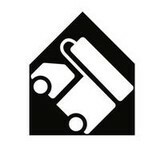 Through out the years we have created reputation for a reliable moving company. As of today we're proud member of American Moving and Storage Association (AMSA) and listed as Pro Mover, member of Move for Hunger - non profit organization working with moving companies by collecting packaged food and donating to families in need. Along with that Xpress Movers is BBB accredited business. Xpress Movers is fully bonded and insured moving company. Moveinit Moving And Storage is a local and long distance moving company. Moveinit Moving concentrate's on one customer at a time. We offer all packing and crating services. We love to help people take the stress out of moving. Weather you want us to move one piece of furniture or even just pack one item; Moveinit Moving And Storage is there for you. Moveinit Moving And Storage only priority is customer service. Let Moveinit Moving And Storage turn your house into a home. Olympia Moving & Storage has built a reputation as a premier East Coast moving company since the company was founded in 1993. Our mission is to work personally with each family we move to exceed expectations and go above and beyond the moving industry standard. We are local North Shore based moving company, with 19 years of experience. Local or interstate, small job or big, no matter. We do it all. We proud our work and our goal is to make our customers happy all the time. Every moving is a holiday, so, celebrate it with us. We are a family owned full-service moving and storage company. We offer our services to residential and commercial clients. We can fulfill any size local, long distance and international shipping need. We have locations in Massachusetts and South Florida. We specialize in the handling of high-value items and furniture as well as assisting interior designers, architects, stagers with their; receiving, warehousing and delivery operations. We pride ourselves on providing the highest quality of service to all of our clients regardless of the size of their move. The customer satisfaction is our only goal! No job is too big or too small! LET US MOVE YOU!